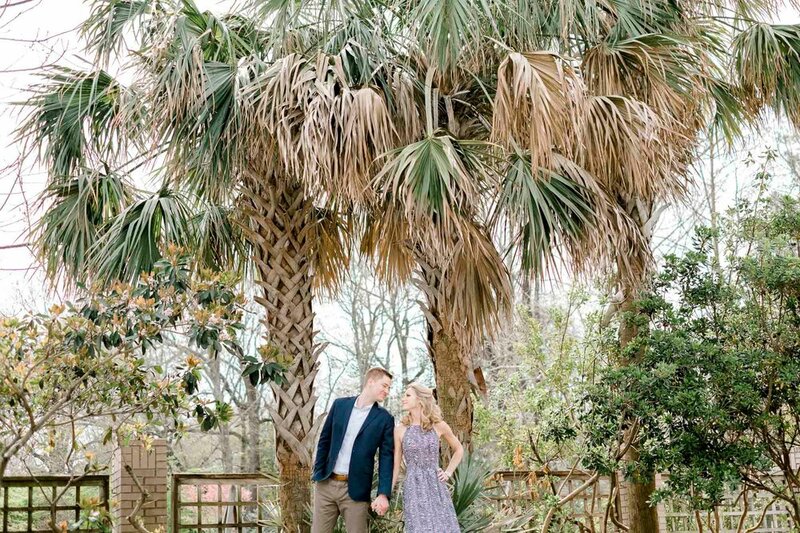 For part 1 of Mallory & Justin's Engagement Session, we visited the New Hanover County Arboretum in Wilmington, NC (to view part 2 of the session on Wrightsville Beach, click here!). I had never been and it's such a picturesque little area with lots of blooms, little paths to walk, and some places to picnic. They even host weddings at the Arboretum! It was actually pretty chilly the morning of our session, but being from Pennsylvania I was so glad to see some spring blossoms and some greenery. We're still waiting on the greenery up here... and I'm getting impatient to say the least! Mallory is gorgeous and she and Justin had a super sweet connection that was just effortless as we shot. I knew they weren't a super 'cheesy' couple so I tried to just keep things romantic and timeless for them throughout our session. Congratulations Mallory & Justin! Thank you so much for allowing me to work with you guys on capturing your engagement. Nicole DuMond Photography takes on limited sessions & weddings in the Wrightsville Beach and Wilmington, North Carolina and surrounding areas per year. For more information on wedding photography packages, please Contact me today!